When you stay at DFW Airport Hotel and Conference Center in Irving, you'll be near the airport, within a 15-minute drive of Six Flags Over Texas and Globe Life Park in Arlington. This hotel is 6.5 mi (10.4 km) from Verizon Theatre at Grand Prairie and 9.8 mi (15.8 km) from AT&T Stadium. 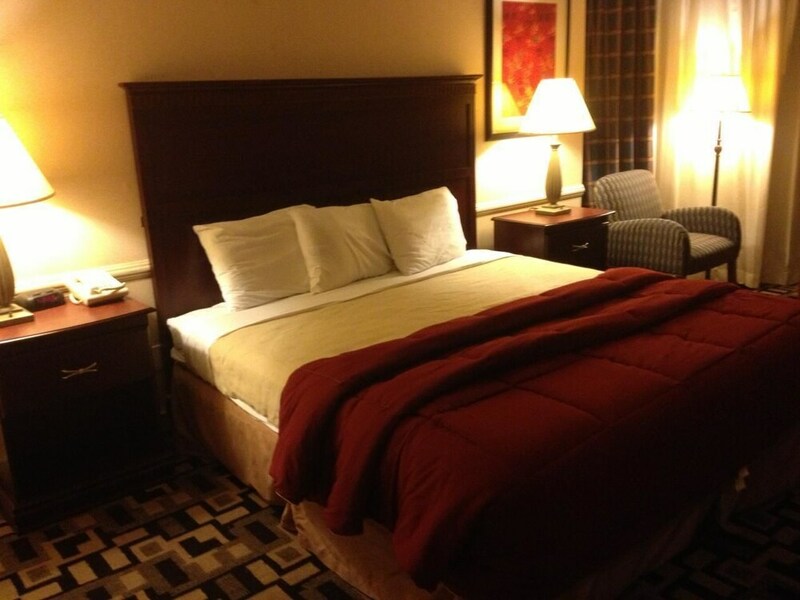 Make yourself at home in one of the 400 air-conditioned rooms featuring plasma televisions. Complimentary wireless Internet access keeps you connected, and cable programming is available for your entertainment. Private bathrooms with shower/tub combinations feature complimentary toiletries and hair dryers. Conveniences include desks and coffee/tea makers, as well as phones with free local calls. Featured amenities include a 24-hour business center, express check-out, and a 24-hour front desk. A roundtrip airport shuttle is complimentary (available on request). The DFW Airport Hotel and Conference Center features a heated indoor pool, a seasonal outdoor pool, a spa tub, and a fitness facility. Free WiFi is provided throughout the hotel. Business travelers can utilize the 24-hour business center, 12 meeting rooms with audiovisual equipment, and banquet space. A complimentary roundtrip airport shuttle is available 24-hours. Free parking is available for hotel guests during their stay. Airport shuttle service is available on request from 4 AM to 1 AM. Fees may apply. Contact the property in advance to make arrangements. This property offers airport shuttle service 4 AM-1 AM. For more details, please contact the property using the information on the reservation confirmation after booking. This property offers transfers from the airport. Guests must contact the property with arrival details on arrival, using the contact information on the booking confirmation. Only registered guests are allowed in the guestrooms. The property has connecting/adjoining rooms, which are subject to availability and can be requested by contacting the property using the number on the booking confirmation.